Backstage Heat on Brock Lesnar? According to Dave Meltzer there are many wrestlers complaining about WWE Universal Champion Brock Lesnar. Apparently there was some talk on how dangerous and reckless Lesnar's German suplexes to Sunil Singh were on this week's RAW. However, Singh didn't get hurt badly and wasn't forced to pull out of a match that everyone was looking forward to. 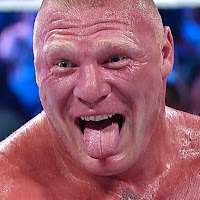 Regarding the heat on Lesnar, Meltzer noted that there's frustration over the reality that Lesnar is pretty much bulletproof in the company. It sounds like the heat on Lesnar is more from his co-workers, while the heat on Jax could be from officials and other talents.